Happy Thursday my friends. I hope your week is starting to wind down. My week has been going well for the most part. I am trying to be more mindful and accomplish smaller tasks like doing one load of laundry a day or emptying the dishwasher as soon as its done washing. I have been a bit lazy for the past couple of months and now that the new year is ahead of us, I am trying to get my stuff together. I did injure my shoulder on Tuesday... Don't ask, cause I have no idea how I even managed it. I have been in a lot of discomforts and was eager to start a new exercise plan this week thanks to my younger sister and brother-in-law but had to put a pause to that. If you want to put your best self forward, then as a mom, it is going to require some pretty intentional choices and decisions. And one thing that all moms find hard is putting themselves first. But as the old saying goes, if momma ain’t happy, ain’t nobody happy. You can be a happy and healthy mom that has their stuff together, you just need to know the right steps to get you there. So what are some of the purposeful choices that you need to be making as a mom? Think about your day and the choices that you have. As soon as your alarm goes off (if you’re not woken by your children, that is), you have the choice to sleep more and get up and at it. Some days, it can definitely be more of a mind over mattress situation, where the mattress wins. But other days, when you have a lot of get ready or you simply want time to wash and style your hair, then the intentional choice is to get up as you’re woken up. Along those lines, self-care is really important and definitely an intentional decision that you need to make. You aren’t going to de-stress of stay on top of your mental health, for instance, without a little bit of intention. So here are some self-care ideas and things that you can do to make yourself a priority. You’ll be a better mom when you’re feeling like yourself. Moving more and exercising is one of the best things that we can do for ourselves. It can work wonders on our physical health, mental health, and keep us fit and strong. We can feel more energized after moving and exercising, we can sleep better, and feel less stressed. So it is a winner all round. The good news is that you can choose what you enjoy as well. If you hate running, then pick a Zumba class, for instance. Just make sure you’re being intentional and doing something as often as you can. In order to feel like yourself or take steps towards looking after yourself more, then changing what you can change could be just what you need to do. It could be that you want to get a haircut or change the color of it, take care of your nails, or even get something like braces to change something you might have wanted to change for a while. Things like removable braces are non-fixed braces, so that could be an easy thing to change when you’re a busy mom and don’t have too much time for yourself. What would you want to change first? Being mindful is something that can make you more conscious of your own feelings, and can help you to deal with your day better. If you are feeling overwhelmed or stressed, then it can be an easy thing to do to make your day better. From meditating or doing yoga, or even just taking time to read a book without other distractions, can be just what you might need. 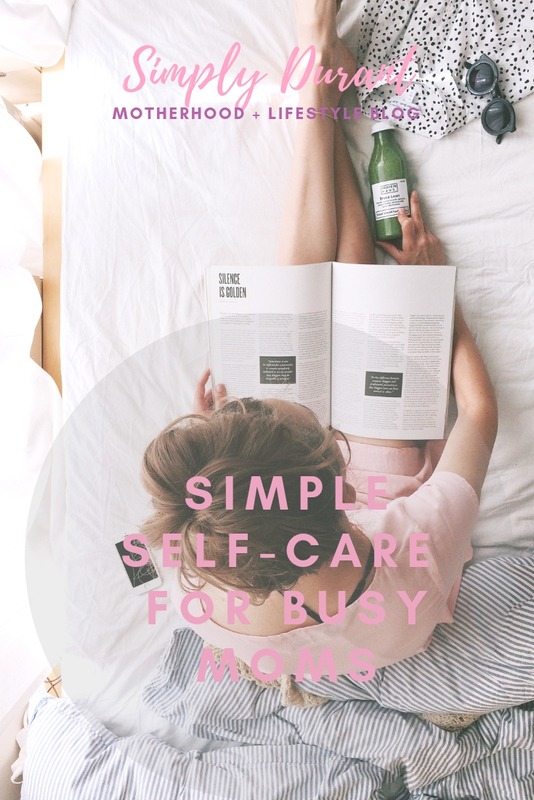 What are some things that you do to practice self-care as busy mom's? Comment below and let's help each other with managing our own self-care ideas. Until next time. Have a great day.